I'm thankful for the sun that is shining here in Ohio today. I'm thankful for my wonderful husband who takes care of and provides for us everyday. I'm thankful for my entire family and their health as well as my own. I'm thankful for our home that keeps us warm at night and allows us to entertain. I'm thankful for the friends we've made and the fun times we share together. I'm thankful for the new opportunities that have been put in front of us. I'm thankful for steady jobs with insurance, benefits, and flexibility. I'm thankful to be a Christian and know the word of God. I'm thankful for the wonderful life God has blessed me with. I don't say thank you enough. What are you most thankful for?! 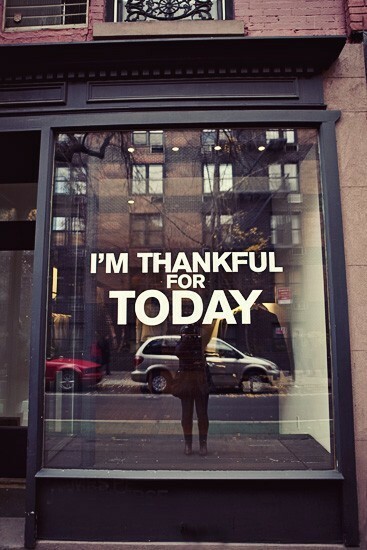 I love this as well I am doing a 30 days of thankfulness on my Blog!!! Lets share what we are thankful for this month! I love this! Was going to do a post like this for end of November but loved that you started NOv with it. Great post! so much to be thankful for!